12-year-old Ella Jacobs was overwhelmed with anger after a teacher told her that she couldn’t use a particular type of school bag “because she was a girl”. She soon learned more about the sexist tricks advertisers play to get people to buy their products and knew she couldn’t just allow sexism to continue without doing anything to stop it. 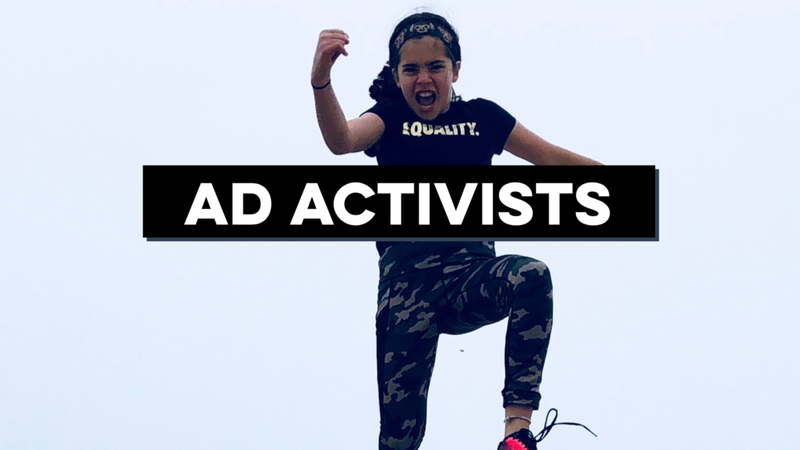 Jacobs created Ad Activists, a website where both her team of activists and the general public can post ads that fall into one of the -ism categories (e.g. sexism, racism, etc.). This prompts Ad Activists to contact the offending companies and ask them to stop using the ads and change their actions in the future. With young women like Jacobs stepping up, it’s easy to be optimistic not only about a more equal future for girls and women but also about the way they see themselves both on screen and off.